DALLAS, TX – SEPTEMBER 5, 2017 – Mohr Partners Inc., the largest wholly-owned commercial real estate firm focused exclusively on providing global corporate and public sector solutions to occupiers and tenants, today announced the company is certified as a Minority Business Enterprise (MBE) by the National Minority Supplier Development Council (NMSDC). 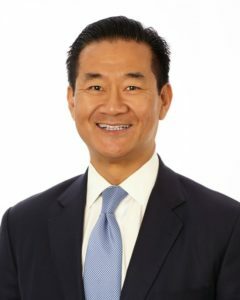 “Mohr Partners is committed to lead the way in driving diversity and inclusion in the commercial real estate sector through the recruitment, training & development and promotion of a diverse workforce who will have the potential to rise to ultimately become owners/stakeholders of our firm,” stated Robert Shibuya, Mohr Partners’s Chairman & CEO. “We believe Mohr Partners offers the global Fortune 500 a diverse, world-class real estate services alternative unique to our sector” Shibuya went on to say. The NMSDC was established in 1972 with the objective of advancing business opportunities for enterprises which are majority owned and controlled by members of the Asian, Black, Hispanic and Native American heritage. The NMSDC’s rigorous review and application review process have earned the organizations certification as the “Gold Standard” for becoming a recognized MBE.